9. 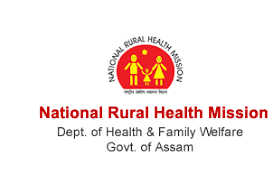 Consultant (Pediatric & Neonatal Service), SIHFW - MBBS with Post Graduate Degree/ Diploma in Pediatrics from a Govt. recognized Medical College and registered with Assam Medical Council. 11. Sr. Consultant, Training, SIHFW - MBBS Degree from Govt. recognized institution + Minimum 5 Years experience in teaching and training of Health Professional. 17. Block Programme Manager - MBA/ PGDM from any Govt. recognized institute.